I’ve always thought that the BMW i3 is one of the most originally-designed cars you can get today, inside and out. It’s also the only battery-electric vehicle on the market that can be bought with an internal-combustion range-extender option. Well, it was, because BMW announced they’ll be dropping the range-extender version in favor of an i3 with an improved battery that extends the range to 193 miles. While there’s hybrid cars like the Chevy Volt that use an ICE engine to provide power for an electric motor, the i3 was the only car designed from the start as a battery-electric with a modular, optional range-extending engine, at least available in the U.S. market. I think Nissan has one in Japan. In theory, this seems like a great solution to the ever-present issues of electric car charging and how to take an EV on a long trip without the sort of planning that usually goes into a military invasion. Unfortunately, in practice, the i3's range extender wasn’t ever really designed to be up to the job. There were two big issues: first, the gasoline tank was much too small to be effective. The 2.3 gallon tank meant that, while you wouldn’t have to hunt around for charging stations, you’ll be hitting pretty much every gas station you come across on a long highway trip. Also, the 38 horsepower 650cc inline-twin engine was only just barely up to the task of turning gas into electrons to feed the electric motor that actually moved the car. In high-energy-demand situations, like driving at highway speeds up a grade, the engine often proved unable to keep up, and i3s were reported slowing to around 45 MPH on highways, a potentially dangerous situation. I still think there’s a place for a well-sorted range-extender, but, once again, BMW didn’t ask me. If they had, I’d also have pushed for a gas-only i3 that used one of BMW’s flat-twin motorcycle engines, mounted under the floor at the rear. But BMW didn’t ask me. UPDATE: BMW reached out to me to issue an important correction—the range extender is only going away for the European market, and a range extender will still be available in the U.S. market. BMW announces the next chapter in the i3 story of electromobility; the new 2019 i3 and i3s with 120 Ah batteries. Since its launch in 2014, the battery capacity and range of the i3 has grown from the original 60Ah / 81 miles to 94Ah / 115 miles in 2017 and now 120Ah for 2019. With the high voltage battery cell capacity increased to 120 ampere hours (Ah) and a gross energy content of 42.2 kilowatt hours (kWh), the new generation of high-voltage batteries enables the BMW i3 120 Ah and the BMW i3s 120Ah to achieve a range of up to 153 miles, nearly a 30% improvement from the 94 Ah model and almost double its original range. 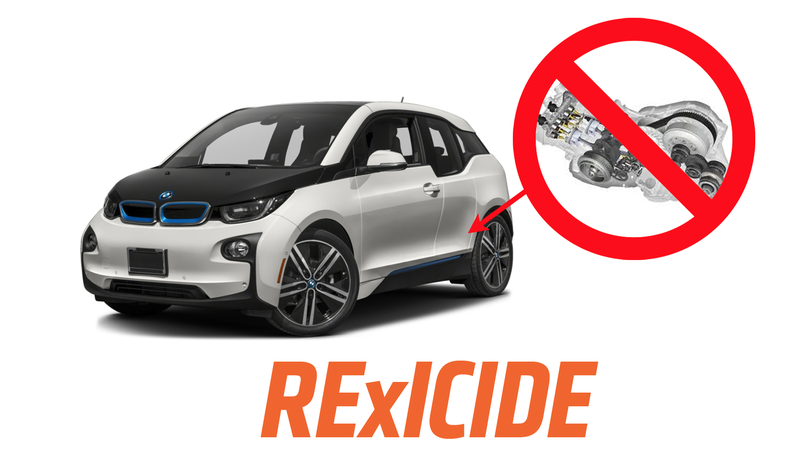 The 2019 i3 REX model range is expected to be similarly improved, pending EPA certification.